What is Massachusetts doing to support 51 in 30? Massachusetts Hockey Goaltending Coordinator Brian Eklund (R) and Player Development Goaltending Coordinator Brian Robinson (L). Back in October 2017, Massachusetts Hockey hired Eklund and Robinson to help lead the state initiatives supporting USA Hockey’s bold vision of seeing 51 percent of all NHL goalie minutes played by American-born athletes by the year 2030. It’s called “51 in 30,” and, in Eklund’s assessment, that’s unlikely without a healthy contribution from the Bay State. When it comes to goaltending, Eklund, who played college hockey at Brown before going on to play in the East Coast Hockey League, the American Hockey League, and one game for the Tampa Bay Lightning, is admittedly biased. Not only does he appreciate what it means to be a goaltender, but he also believes it’s the most challenging position in all of sports. And he’d like nothing more than to churn out goaltenders at every level. So, when his playing career ended, he set out to make the world a better place for young goaltenders. For Eklund, the idea is simple. 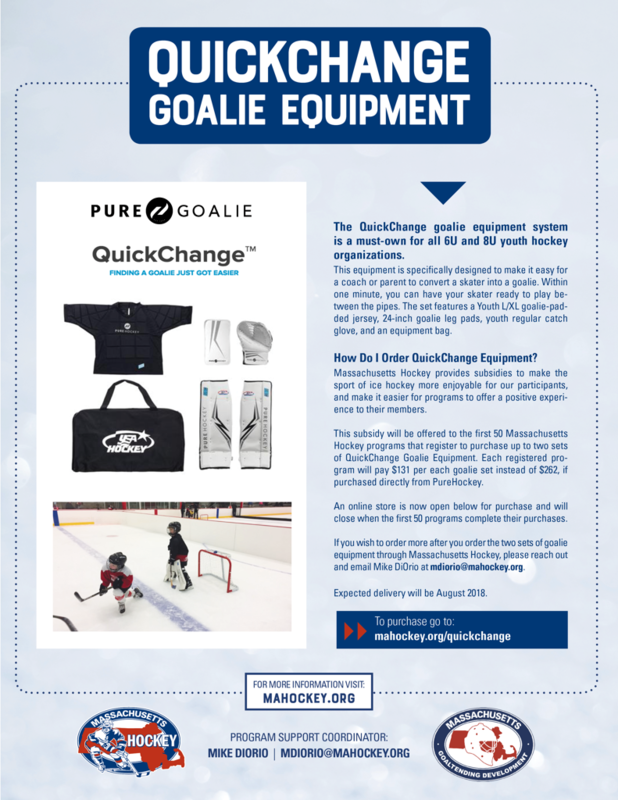 He’s focused on how Massachusetts’ programs can increase the number of players who are introduced to the unique thrill and challenge of playing goal. In a position where so much as getting dressed can be a daunting task at the younger ages. That’s why Eklund is a believer in QuickChange goalie pads (which Mass Hockey subsidies) that help give more players more opportunities to take a turn between the pipes. In the past year, nearly 100 sets have been sold. In addition to equipment and ego considerations, finding more goalies more often is further hindered by perception. Being a goaltender isn’t always easy for parents, either. Eklund would like to see within every organization a head of goaltending. From there, he’d like to see every team with an assistant coach dedicated to their goalie. Too often, kids or parents or coaches overlook the possibility that a player, no matter whether he or she is flourishing at a different position, might just love being a goalie. And there no particular body type or level of athleticism apart from playing out that separates goaltending. 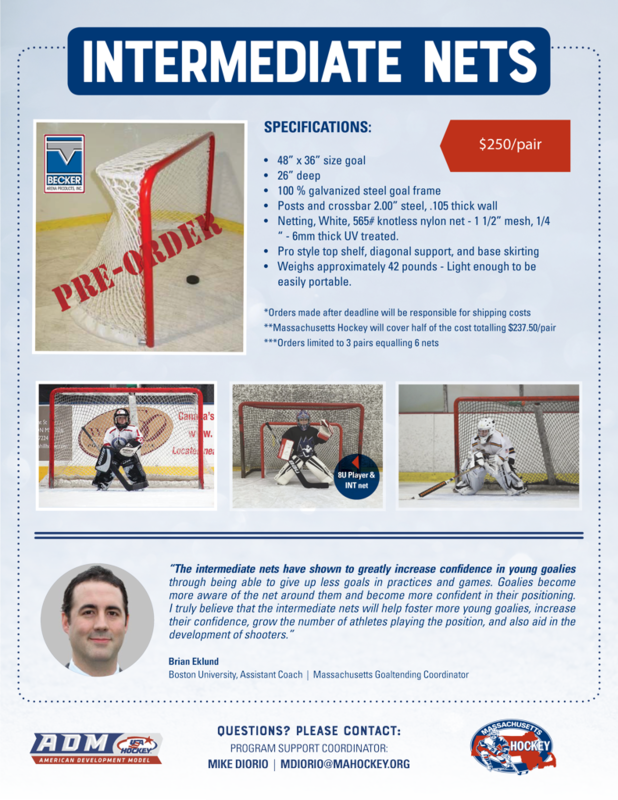 Click here to see more information on the Goaltending Development in Massachusetts.